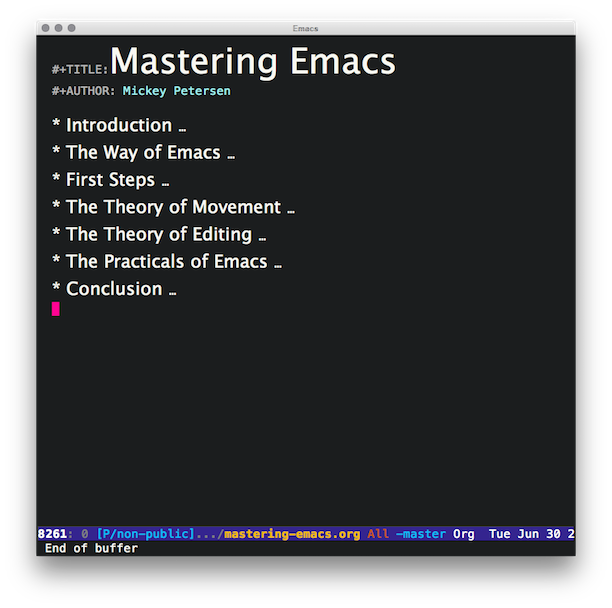 If you haven't bought Mastering Emacs by Mickey Petersen, you should. 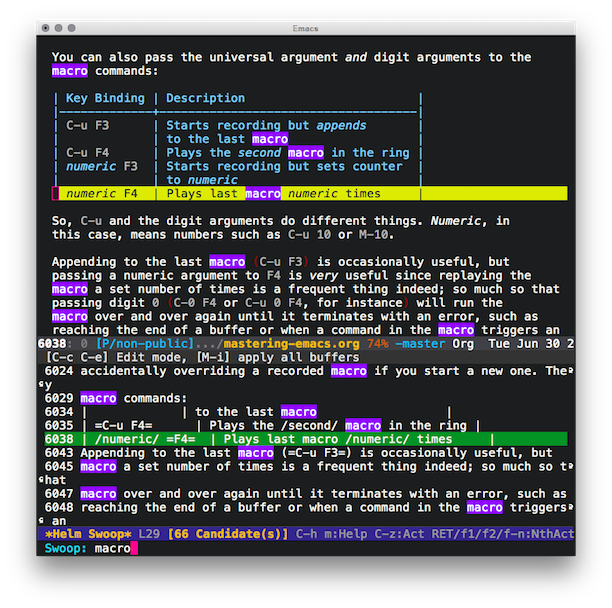 It's a wonderful source of Emacs tips. Having just finished the ebook on my Kindle, I was keen to go back and fish out some of that newly found wisdom. 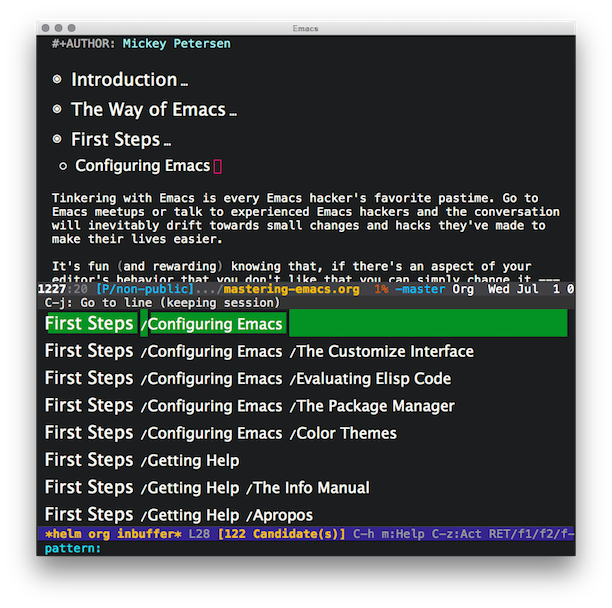 My immediate reaction was to figure out a way to make the ebook searchable from Emacs. The ebook is available in epub and pdf format. Though Emacs's docview is super handy for viewing pdf's, searching didn't feel as comfortable as searching in org mode. The epub, on the other hand, proved useful. Pandoc can easily convert from epub to org. After a some tidying (mostly removing BEGIN_HTML/END_HTML blocks and adding TITLE/AUTHOR), the resulting org file is surprisingly clean and easy to search/navigate. helm-swoop and helm-org-in-buffer-headings are great for that.